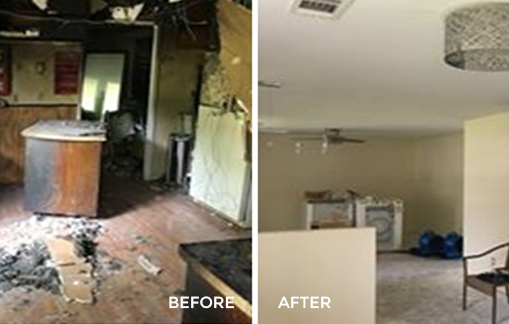 If a disaster has damaged your property, XSI Disaster Services is the company to turn to for fire damage restoration in Atlanta. Our talented and experienced fire damage repair team will work quickly to restore your home or business. XSI Disaster Services will perform emergency board up to stabilize the structure. 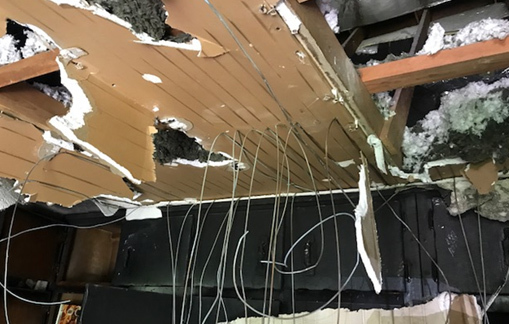 We will immediately work with local authorities and your insurance company to ensure your property is secure and that any further damage is minimized. XSI Disaster Services will then work with your insurance company to reach a scope of work to guarantee your home or business will be repaired to your satisfaction. A new fire starts every 18 seconds in the United States. Fire and smoke damage can be physically and emotionally devastating. 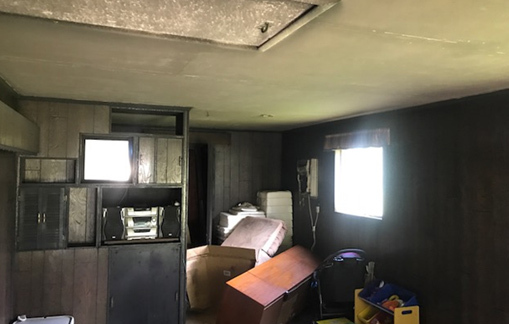 The aftermath can result in months of fire damage restoration. The occupants of the home or business may need to be relocated temporarily. The contents and structure often suffer further damage by chemicals and water used to control and extinguish the fire. We can help you with all of these situations. If furniture and other contents are left on site after sustaining fire damage, they continue to absorb odors and soot residue. Therefore, it’s best to contact XSI Disaster Services for immediate attention. Odors from the smoke and soot can be absorbed by almost any surface or material. This is especially true if the surface or material of the items is porous. Fabrics, wood, concrete and more can all trap and hold odors. Artifacts, collectibles and electronics. Every fire loss will leave behind some amount of content that will need to be restored. During the fire damage restoration process, we take inventory of everything in the structure. We then take photos and pack all items carefully into boxes. The boxes of your valuable contents will be stored at our secure storage facility until restoration is completed. We also provide cleaning and deodorizing of all the salvageable textiles that have been affected by fire or smoke.